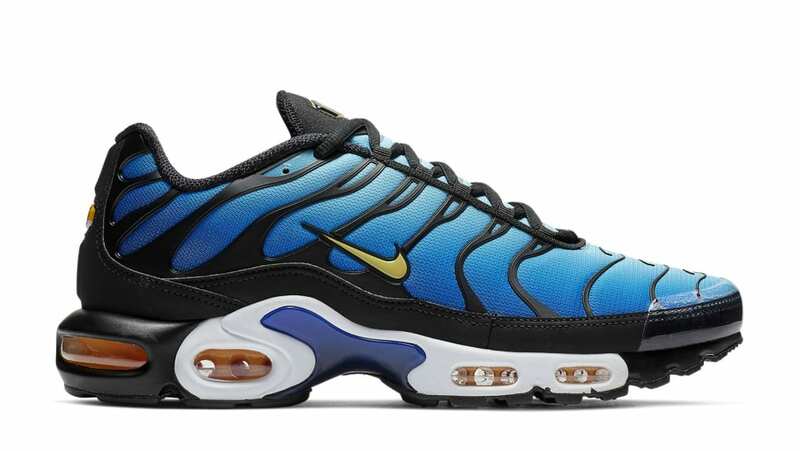 For the model's 20th anniversary, Nike is bringing back the classic "Hyper Blue" Air Max Plus dressed in a gradient blue upper with black overlays throughout. Both the lateral and medial Swooshs are covered in a vibrant neon yellow color. Release date is Dec. 22, 2018 at a retail price of $160.